I should say that you haven’t been to Cebu, Philippines, if you haven’t tried Cebu’s Crispy Lechon Baboy or Roasted Pig for our foreign readers (if any). 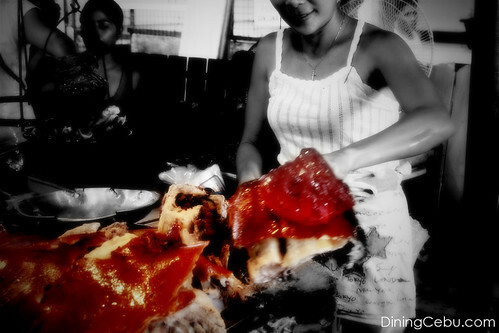 Although other provinces in the Philippines also have lechon, most of them agree that lechon Cebu is different and better. Most of my suppliers that visit Cebu almost always bring a box of lechon on top of other Cebu delicacies like Cebu’s dried mangoes. One time I’ve heard on the now-defunct Kris and Korina show that Kris Aquino air freighted a whole lechon from Cebu. Lechon Cebu is THAT popular! 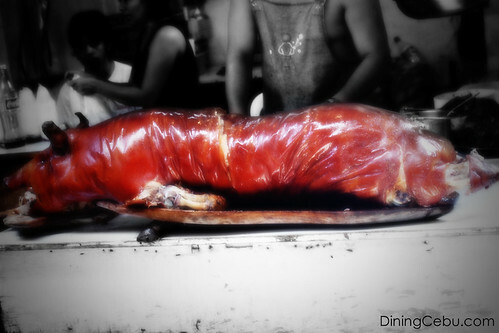 Lechon in Cebu is priced at Php 330 – Php 380 per kilo (as of this writing) depending on where in Cebu City you buy it. In Carcar, it’s priced inexpensively low at only Php 250 per kilo. You might wanna subscribe to the RSS Feed or subscribe by Email so you won’t miss any of the cool updates! Just in time for the rainy days, lunch delivered to your offices….